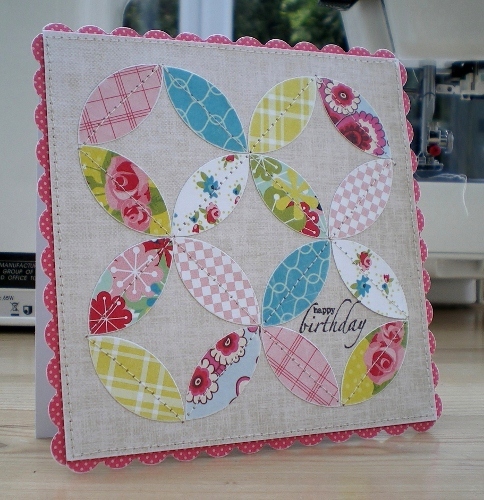 The October Card Challenge launches today over on The Ribbon Girl Blog. 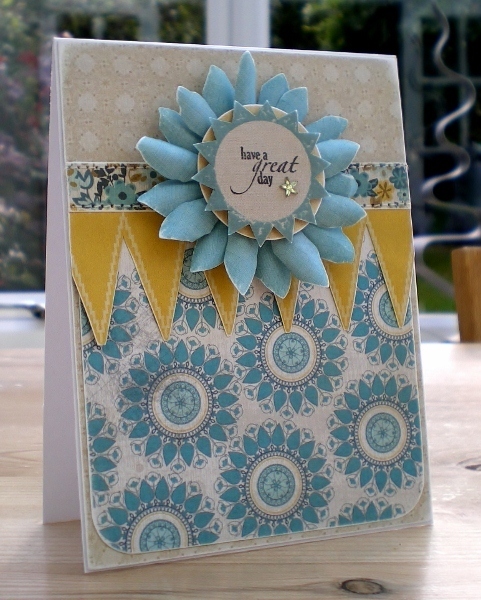 To enter just create a card for a BOY and link it up over on the Blog. As always there's some fabulous prizes for the lucky winners. 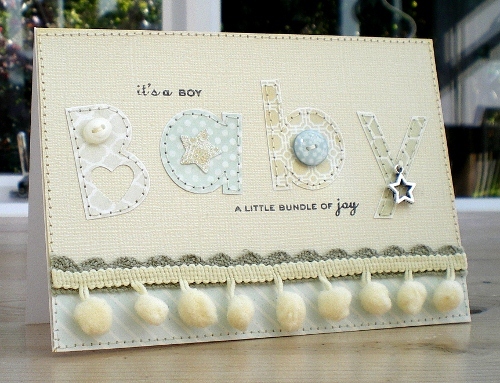 For my card I've took the easy way out and created a card for a baby boy. I've had this design running around in my head for a while now but didn't have any letter dies So, rather than splashing out I created some letter templates using WordArt in MS Word - Century Gothic font if I remember rightly. The letters have been hand stitched to the card front - didn't trust myself with all those curves on the sewing machine! 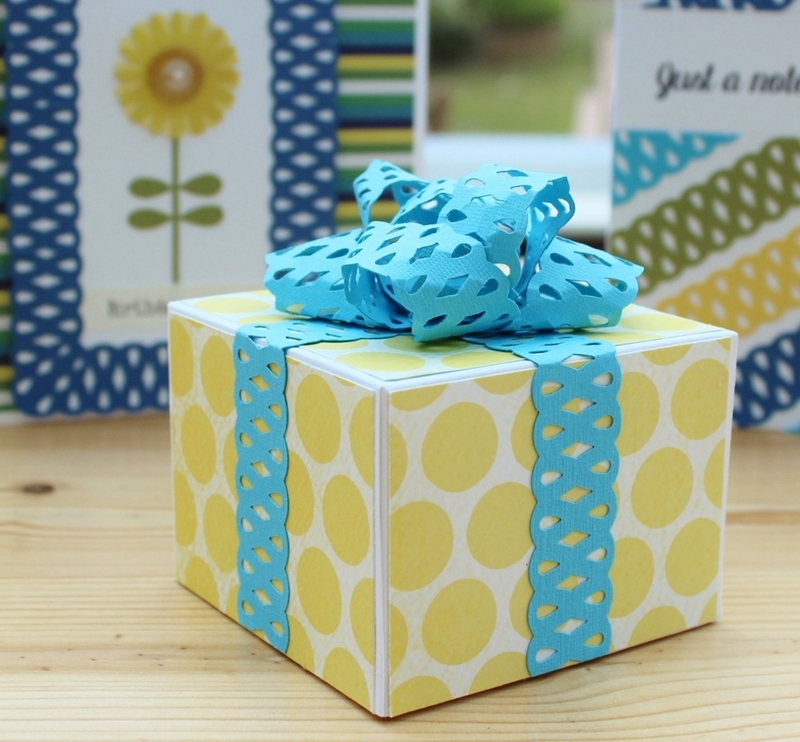 Don't forget to check out The Ribbon Girl Blog for all the details and some wonderful inspirational cards from the DT. You know how we all struggle with the dreaded 'Boy' cards. It's time for another challenge over on the Let's Craft and Create blog and the theme this fortnight is Borders. 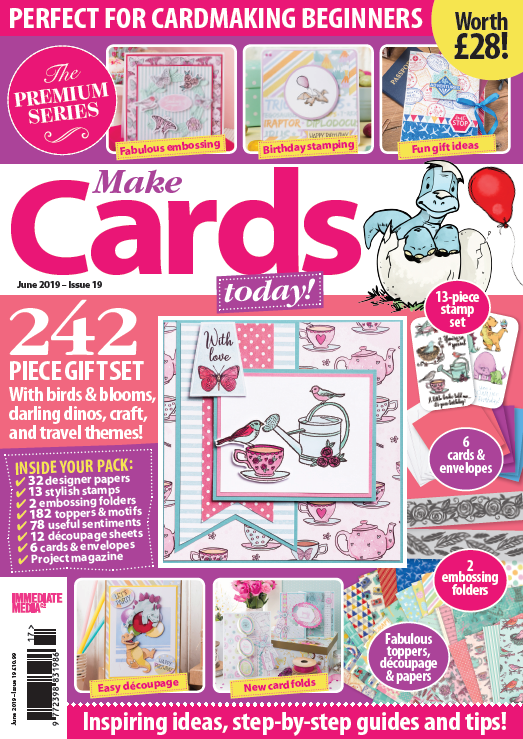 An opportunity to dig out your border dies and punches and get creative. 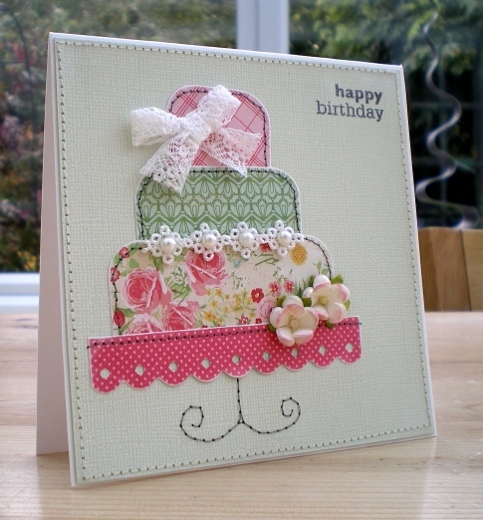 I've used a scalloped border punch to create a frame for my card. 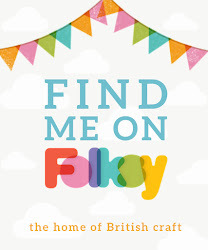 Pop over to the Let's Craft and Create blog for some more inspiring ideas from the rest of the team. 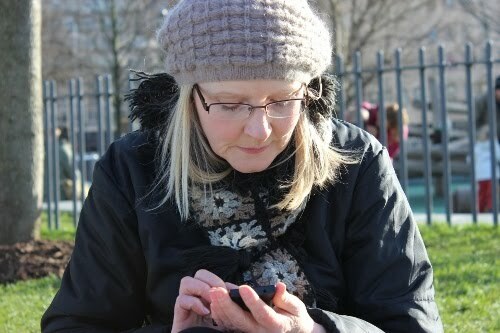 Hope you can find the time to join us, don't forget you've got two weeks to enter.